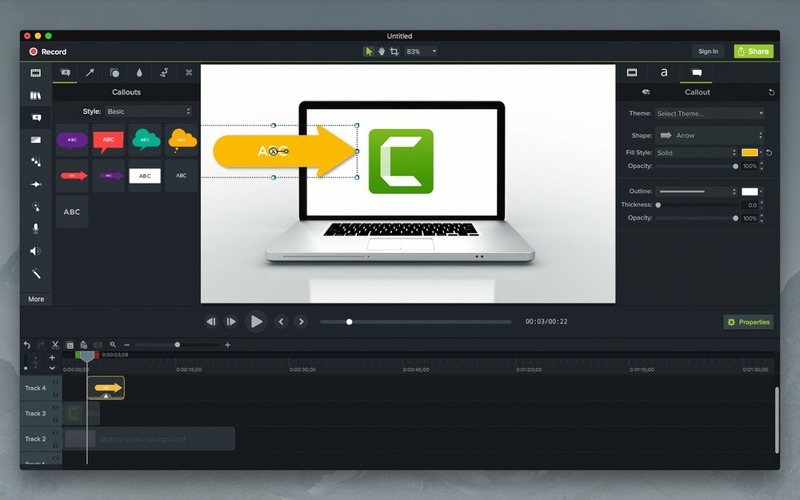 Camtasia 2018.0.6 – Powerful screen recording and production tool. Issue that prevented users on MacBook Pro (2018 or later) and iMac Pro (2017 or later) from recording system audio. Issue that could prevent users from importing Powerpoint slides. Issue that could cause the playhead bar to become invisible on macOS Mojave. Issue that prevented users on macOS Mojave from clicking on items in the Library. Issue that prevented users on macOS Mojave from closing open Groups on the timeline. Issue that caused Table of Contents thumbnails to appear as blank when exported as a SCORM package. Issue that prevented Cursor FX from being applied when the system cursor was not the default size. Next story BusyCal 3.5.4 – Powerful calendar app with multiple syncing options. Previous story Keyshot Pro 8.1.58 – A CPU based standalone render engine for 3D data. iVI 3.515 – Easily convert and import video files into iTunes or iMovie. Video Converter Platinum 6.6.39 – Convert MP4/MP3/DVD. WatchMe 1.2.7 – Search and download episodes from popular TV series.